New ways of accomplishing old tasks. This is the conceptual bread and butter of thousands of tech-based companies today, and some might argue the very future of commerce in general. That leaves many brands out there ‘making it up as we go along’, which can be thrilling and completely new terrain – particularly at the curious intersection of tech, social media, and customer service. Here’s a compilation of tips for navigating this relatively new but rapidly growing space. 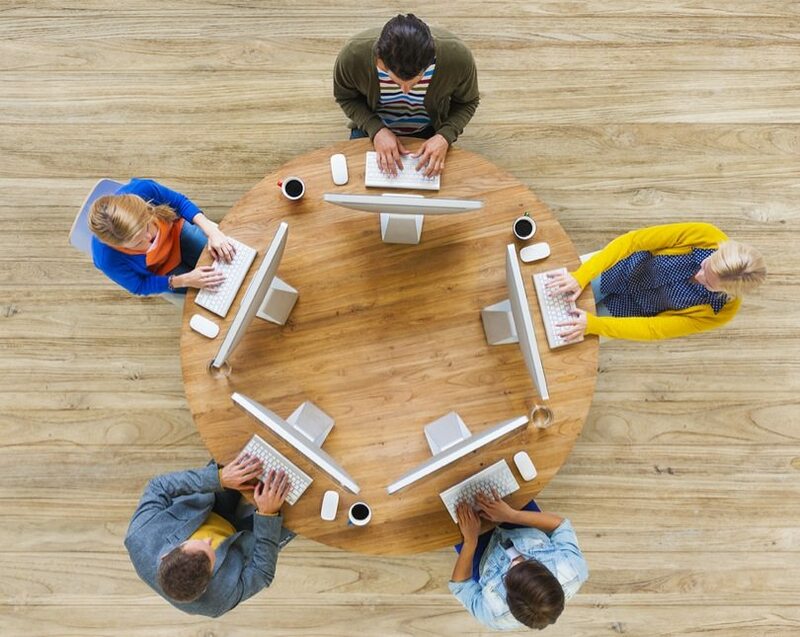 Options for social customer service platforms are growing. A diligent review of options and how they might fit with your company will pay off, as you consider factors like the size of your company, the communication modules preferred by your customer base, and the degree of data exchange among different platform features. A critical factor can be how easily the system integrates with your existing infrastructure – make sure whoever you choose has a robust professional services team to help make the transition seamless. 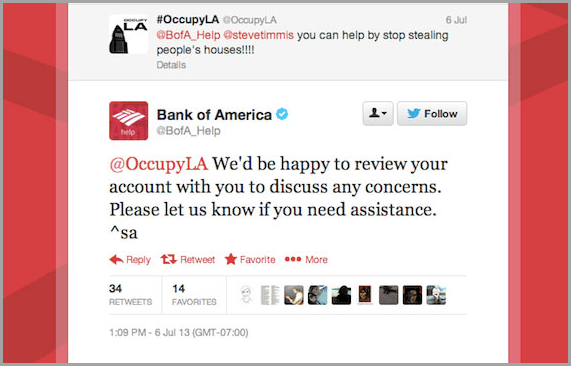 The above automated Tweet by Bank of America is a great example of why personalization and the human touch is necessary on social. 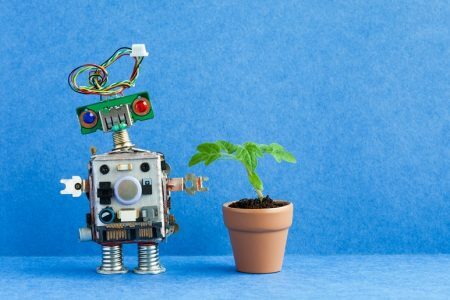 Get into the mindset where customer service is human and personable, not automated and robotic. Representatives reading off response scripts as if members of an assembly line are becoming a relic of the past, and can put a company with a great product at real risk of consumer displeasure. The ability to harness the ‘real talk’ spirit of the internet with how existing and potential customers interact with your organisation, makes you appear intelligently tech-savvy, confident in your ability to engage with your users, and proactive in the relationship. 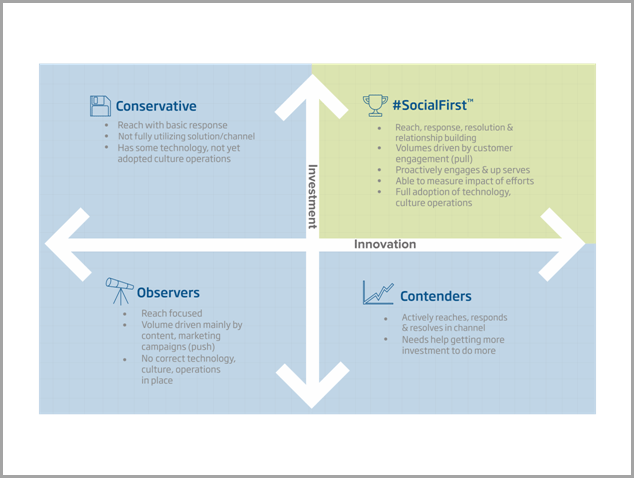 Social is a direct and personal platform, making it critical that your customer engagement team learn how to adapt to the specific needs of a given customer or request. By definition, catch all responses are limited, and freeing your team from this will pay major dividends. 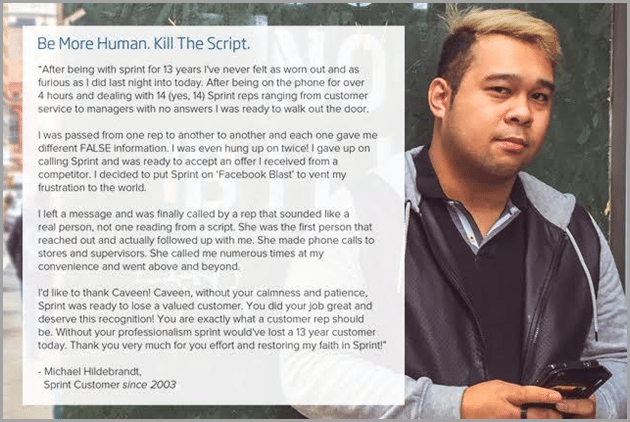 Sprint is a #SocialFirst company that goes the extra mile to retain customers even when they have had a negative experience. Customers are decreasingly tolerant of gruff or unknowledgeable phone agents who have to escalate and re-channel to provide resolution. Social customer service breaks down former boundaries of rigid communication methods and vocabulary, and allows your company to engage customers on their own turf, and in their language. With access to all relevant resolution actions at their fingertips, reps can now provide for any customer need in a relaxed, unscripted, and congenial setting. Look at each query as an opportunity to prove just how much your brand cares about the customers themselves. The ‘extra mile’ approach will have a major impact. Engaging with consumers online also opens the door to new avenues of understanding their needs as individuals, as well as greater trends. 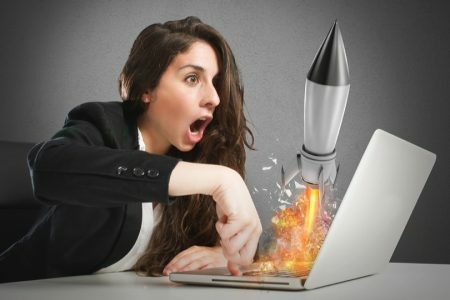 Customers sending a private message on Facebook can be immediately dealt with, and potential crises can be averted by responding skillfully to a dissatisfied customer who has posted negatively on your public company page. Along with the ability to quickly provide effective and accurate solutions to customer issues, social customer service enables representatives to stay on top of individual and general sentiments in real-time, on the platforms where they are most likely to be expressive. Additionally, it’s critical to respond to their specific request and not try to dump every type of query into a general heading. Showing that you’re listening to their needs can be just as important as actually listening. Take the time to research the marketing and customer relations tools offered by various popular social networks. As these platforms themselves continue to develop, they offer growing opportunities for real engagement between brands and users. 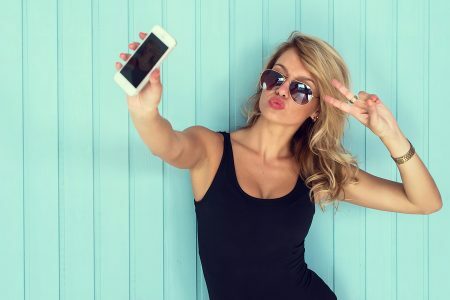 SnapChat, Instagram, WeChat, and Facebook Messenger each provide unique opportunities to access, incentivize, and communicate with customers. Product updates, deal offerings, loyalty perks, coupons, banter, and direct support are just a few options available on the various networks – all of which can serve to enhance your engagement ethos as a company. New channels aren’t just important because they widen your reach, they are important because they enable you to launch new types of services and engagement. For example, a restaurant-goer is far more likely to post a picture of a great meal on Instagram than on WhatsApp. Replying in kind – maybe with a photo of what to try next time – shows a deeper level of care and appreciation. Some of the ideals of a progressive social customer service structure may be new to your employees, and as such, implementing training exercises to prepare them for the new systems and methodology is a sound investment. 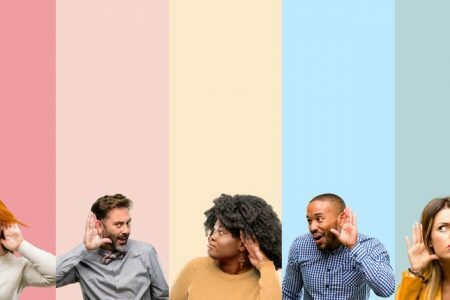 Customer engagement is now about responding to customers in the same channel they reached out to you, recognizing the importance of private conversations via Messenger and Direct Message, not just public forum responses and most importantly, learning that customers want to be treated like individuals. The bottom line is that in today’s world, customers and their expectations have changed, and methods of customer service must accordingly fall in line. More actionable data can be gleaned from social media than you may have even considered possible. 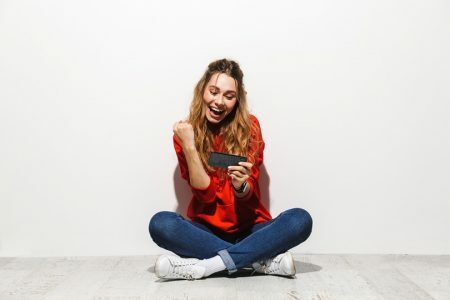 This data, which can include instant feedback on new products, responses to promotional campaigns, and even favored social networks by which to communicate, can be implemented into traditional customer service channels like phone and email – not to mention overall company strategy and direction. Some of our clients are even using social channel techniques to train cashiers and in-store staff. There’s a wealth of information out there that has never before been instantly attainable, including the unquantifiable knowledge of being solidly entrenched in the hearts and minds of your customers and target market. 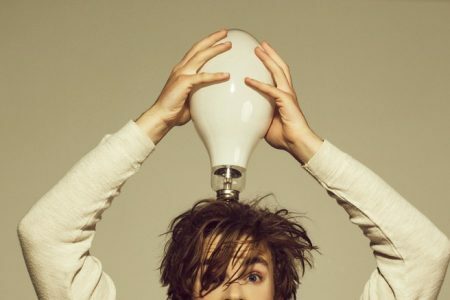 Social is no longer a secondary component of your business and learning how to drive wider benefit from social innovation and progress can have major influence on your wider operations. Guest Author: Paul Johns is the CMO of Conversocial. 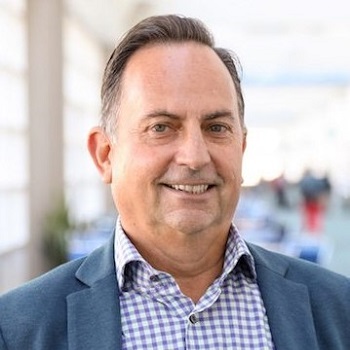 He has served as CMO for a variety of young technology startups, bringing them public by defining company strategy and developing advocacy, as well as growing each business through product development, channel marketing, partnerships and acquisitions.